at the SOPARA14 event, Old Sarum, Wiltshire, May 2014. ‘It was a privilege to meet Major Hargreaves and work closely with him on the painting commissioned by 4th Battalion the Parachute Regiment. He may be 95 years old but his clear recollection and detailed briefing made the task of re-creating the scene far easier. 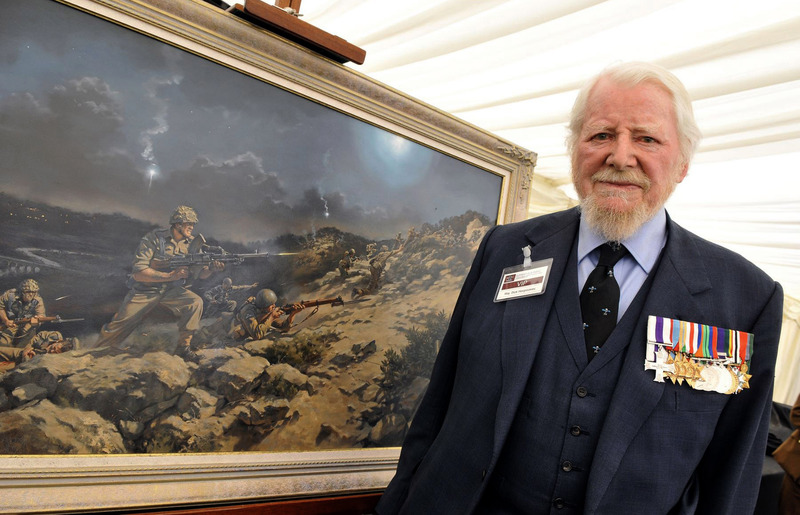 Major Hargreaves unveiled the painting at the ‘Support Our Paras’ charity event at Old Sarum Airfield in May.